Arts In Action » Balance, Blurring, Blend! Introducing Erin Dalton, Arts In Action’s newest Writer! 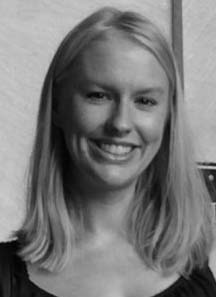 Erin holds a BA in English from Loyola University in Maryland. Before becoming a full-time mom, she worked as a Project Manager for the Vice President of University Communications at Cornell University. This is Erin’s triumphant return to the professional world that is populated by actual adults after taking a six-year sabbatical to care for and cherish three incredible little human beings! But almost as quickly as the anticipation to write and create built inside her, so did the worry. How would she fit this new job opportunity into her schedule and do the task justice? Could she find an appropriate balance between the duties of motherhood and the delivery of a thoughtful, engaging conversation starter? Read on to see what happened! The answer is no. Even as I ease my way back into my professional persona, I find difficulty in the notion of balancing the competing facets of my life. Balance is so elusive, it feels as if we are setting ourselves up for failure by trying to achieve it. What if, instead, our focus shifted to blending our priorities into something that, however imperfect or messy, works for us? Over the last decade or so, this shift in how we live and work has become obvious. My husband is closing business as he drives to coach pee-wee soccer. I’ve observed my best friend on a conference call at home while her daughter sits by, watching her strong, capable mom handle it all, a fabulous example to our children of a woman/mamma with a successful careers. Embracing and blending the things that fulfill us seems like an easier exercise than trying to compartmentalize our responsibilities into tidy little boxes to feel like we are winning at this so-called balance thing. My advice…don’t try to balance everything. Embrace the messiness of your wonderful, imperfect life and blend it together in a way that works for you. Now if you’ll excuse me, I’ve got to run, my son just woke up from his nap. Thanks, Erin, nice post! And congratulations on finding another great asset Grace. Dave! You are the bestest! 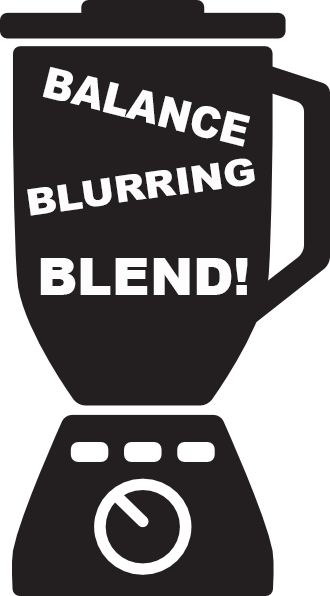 Happy Thanksgiving and Happiest of Blending to you and yours! Not sure how I missed this lovely compliment, but please accept a belated “Thank you!” Dave!